Can I recover damages in a motorcycle accident if the crash aggravated an old injury? Motorcycle accidents can lead to serious injuries as well as aggravate existing conditions. If you've recently been involved in a motorcycle accident caused by another driver's negligence, Louisiana law allows you to recover your accident-related damages by filing a personal injury claim. Arthritis in the knees might cause additional pain after a motorcycle accident. Degenerative disc disease could make the spine more vulnerable to problems following a motorcycle accident. A person with a history of migraine headaches might experience more intense headaches after the car accident due to injuries to the head and neck and the general stress of the incident. Preexisting mental health difficulties might become more intense due to the trauma of the accident. Someone previously diagnosed with fibromyalgia may have a flare of symptoms following an accident. Generally speaking, older adults are more likely to have pre-existing conditions that are complicated by injuries from a motorcycle accident. However, pre-existing conditions can be a factor at any age. 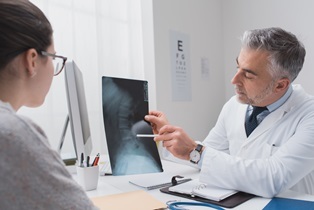 You are entitled to compensation for your accident-related injuries, regardless of whether they are new injuries or pre-existing conditions that were aggravated by the accident. However, proving liability in this type of case can be complex. Your damages were caused by the accident and not attributed to another source. Proving causation will be the most difficult part of your case. The other driver's insurance company will try to argue that your symptoms are a progression of your pre-existing condition and would have occurred regardless of the accident. If your condition was not relatively stable before the accident, this can cast doubt on the cause of your injuries. Winning your case will require looking at your past medical history in detail. You will be asked about previous injuries, including when they first occurred, what your symptoms were, and what type of treatment you were receiving. Copies of X-rays and MRI and/or CT scans from before and after the accident may be used to establish how the crash affected your condition. Expert witnesses familiar with your condition may also be called to testify about how your prognosis was affected by the injuries you suffered in the motorcycle accident. Louisiana law still allows you to collect compensation if you were partially at fault for the accident. However, your settlement will be proportionally reduced to reflect your own financial responsibility for your injuries. Seek a prompt medical evaluation, and inform your doctor of all symptoms you are experiencing. Follow your doctor's orders precisely, including activity restrictions and all follow-up appointments. Keep copies of all documentation of accident-related expenses. Do not talk about the accident, including making statements on social media. Do not accept a settlement offer from the insurance company without consulting your attorney. ?What are my rights after being injured in a motorcycle T-bone collision? ?If I have motorcycle insurance, why hire a lawyer after my accident?